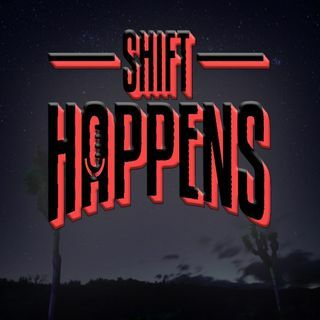 Shift Happens Fridays @ 7 p.m. PST on KTLK The Fringe FM Join Cortana & G.G. on a cosmic journey into all things Ufology, Conspiracy, Occult, Metaphysical & Psychedelic! Ep. 106 Shift Happens - Jason Quitt & D.E.E.T. Pt. 4/2 "Something to Think About" from Doc. R.A.M. Explicit Pt. 4/1 "Something to Think About" from Doc. R.A.M. Everything from off-the-cuff, spur-of-the-moment episodes, to brief run-in interviews at conferences, and other episodes that never aired.